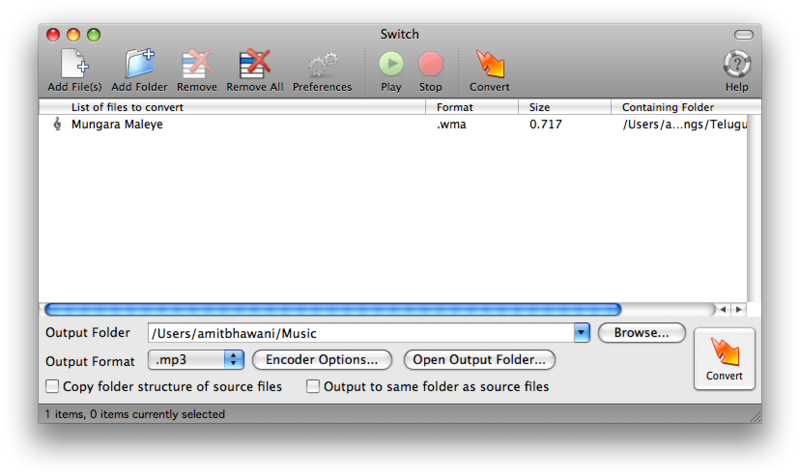 How to convert WMA files to MP3 in Mac? There are quite few apps to convert within media files, but my favorite and easy-to-use software for mac is Switch converter. You can download the same from here. It is a very simple app which can get things done for you pretty easily, and you don’t need to have any special knowledge to use it. Install the app and open it. You would see the icons in the top to “Add Files” or “Add Folder” and play the files to confirm. Add the wma files through that option and you would see all the selected files in the list box below the icons. 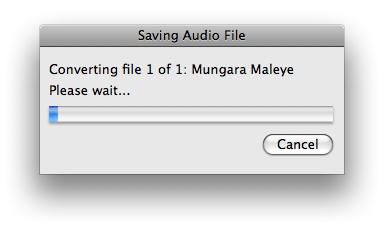 Select the option to produce the Output Format as “mp3” and choose the output folder where you want to have the converted files. 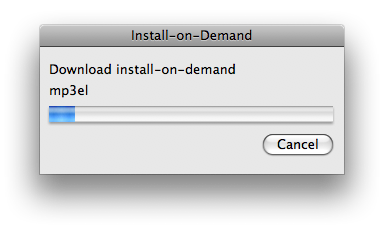 Then click on the “Convert” icon to start the conversion process. The conversion process starts and you would see the converted files in the destination folder which you chose. This tutorial is only for mac users, but the process is similar in Windows too, for which the same Switch converter is available for free download.